After some initial struggles with getting my video to render, I have conquered my computer demons and I am now prepared to make my monthly entry into the "How I'd Do It Friday" series. The subject this month is the Mortise side of a mortise and tenon joint. I enjoy shooting the video for this series, it gives me a chance to do something a little different on the blog and it gets me more comfortable with the medium. I think that even after a few sessions at this I may already have enough footage for a blooper reel. Its been a cool excuse to get my daughters involved in my shop, as they help me come up with the quick intros and my oldest daughter Chloe helps out as my camera operator. (I upgraded her to cinematographer this past session and boy did she get bossy after that). So pop some popcorn, sit back, and enjoy the show, Thanks for watching. 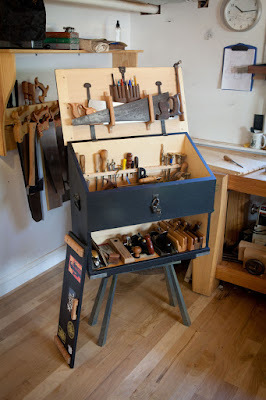 The collection of woodworking bloggers and podcasters who participate in the How I'd Do It Friday joinery smorgasbord are kind of a loosely formed bunch. If we have time, chance, and opportunity we participate, if not, we just let this month pass us by. If you want to participate we are working on this the last Friday of every month, feel free to join us. So far I think I may just be the lone wolf this month, of course I may be wrong. 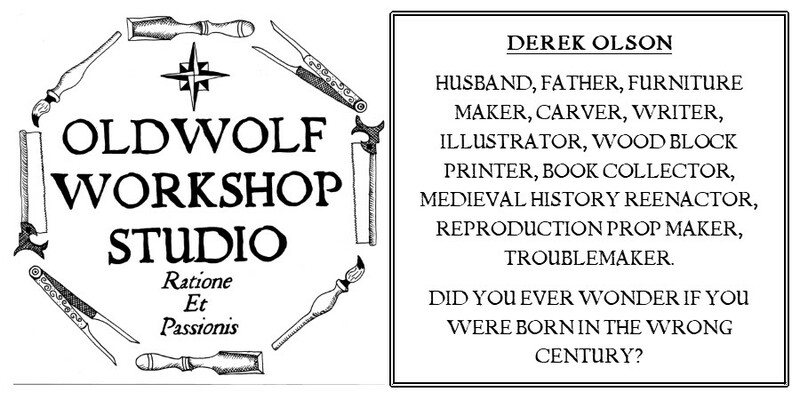 If you participated in this months show off and I missed you please drop me a line at oldwolfworkshop@gmail.com and I will gladly add a link to this post. I don't think it's too late to join in so anytime. Despite your technical woes, it is great to see you posting these. Can't wait until I have the time to contribute. I think we need a special hand tool woodworking subculture blog for those of us with little kids. That leaves 2 or 3 of us I guess. Yea, I missed the boat on this one too. I'm looking forward to next month's, any idea what it is? I just finished my bench for the new space which is going to help immensely.I don't know that I will have video though. Probably just really detailed photos. Trevor, I only work with the video for these as a change of pace. If you prefer to do a post with pictures that is all cool. Make it your own man. Rob, kids in and around the shop is interesting, that's all I'm gonna say. Next month is supposed to be the tenon side of mortise and tenon joints. I think the suggestion for the month after that (January) was dadoes. Feel free to pitch in any time you can!